It seems that good ol' boys and girls are everywhere country fans look these days. And while that rough-hewn sound and image has clearly established its place in the genre, it's refreshing to encounter an artist who stands apart from the crowdin look and style, but especially in his music. 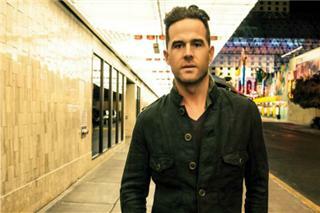 Enter David Nail. With Sinatra-like levels of poise and class, the rare gifts of natural melody and soul, and a voice as enveloping as a Cumberland River fog, the Missouri native is a modern-day country gentleman. He's Jim Reeves crossed with Elton John. Garth Brooks meets Stevie Wonder. Glen Campbell blended with Michael Bubl. The musical result of those mash-ups is a rich sound that hearkens back to Nashville's Countrypolitan days, when artists like Campbellone of David's heroesadded a dash of sophistication to country music. "My father was a band director for 31 years and he listened to all sorts of music, including a lot of old-school Elton John. I just loved the big, lush feel of those records," David explains. "Glen Campbell was a huge influence on me for the same reason: the arrangements, the elaborate production, the dramatic songs. Those influences all come out in what I do." This is specifically true on David's vibrant new album, The Sound of a Million Dreams. "A lot of the sounds that I try to emulate and use for inspiration are from a time when pop music was called that because it was popular," David says. "And who doesn't want to have popular music?" The Sound of a Million Dreams is Nail's follow-up to 2009's I'm About to Come Alive, which yielded the Top Ten hit "Red Light" and was also listed by Esquire Magazine as one of 50 Songs Every Man Should Be Listening To. 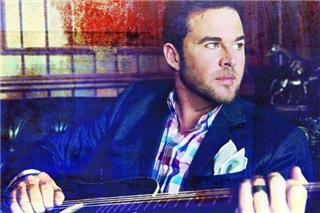 David also received an Academy of Country Music nomination for Single Record of the Year for "Red Light." 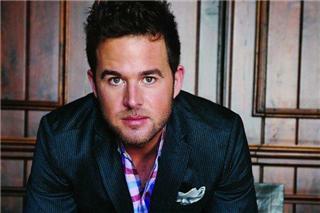 Furthermore, Nail scored a Grammy nomination for Best Male Country Vocal Performance for "Turning Home." Much like I'm About to Come Alive, The Sound of a Million Dreams is cinematic in its scope, with lyrics and melodies awash in imagery. In the evocative "That's How I'll Remember You," it's snapshots of baseball-game dates in Brooklyn with an ex-lover. In the swirling "She Rides Away," the titular girlfriend makes tracks in a rusty El Camino. And in the album's yearning first single "Let It Rain," a contrite husband seeks forgiveness for "the one night I forgot to wear that ring." "Imagery is so much a part of what draws me to the songs I record. I pick songs with cities in their lyrics or the names of girls because I want you to know exactly where I'm coming from and what I'm talking about," says David. "I love painting those pictures." And with the album's title track, he just may have painted a masterpiece. Written by Scooter Carusoe and Phil Vassar, "The Sound of a Million Dreams" expertly sums up David's belief in the power of music, namely the power of a song, to create memories. It references classics by Seger, Springsteen and Haggard, all pegged to different milestones in the narrator's life. Nail connected with the message so deeply that he chose "The Sound of a Million Dreams" to represent the album. "I've always felt that an album's title was the most important thing besides the music. It automatically gives someone an idea of what to expect," says David. 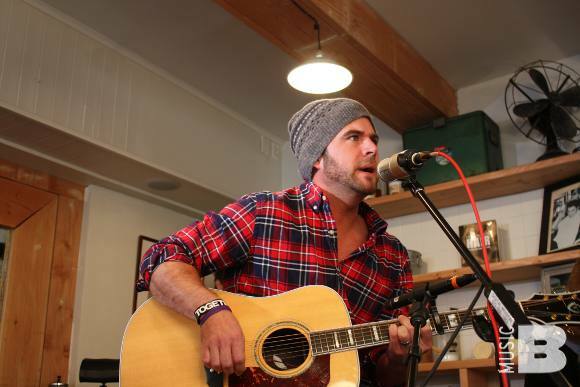 "If you had to tell the story of me to this point, that song really sums it up." But the lyrics on The Sound of a Million Dreams, whether David's or those of his co-writers, only tell part of the story. The rest unfolds thanks to David's incomparable voice. Bourbon-smooth, full of emotion and always in control, it's an instrument in and of itself. And the singer-songwriter knows when to let it loose or rein it in. "I don't want somebody to think I'm a great singer because I can sing a Stevie Wonder hit and do all the licks," he says modestly. "With this record, I wanted to find the best songs that I could sing as best as I can, but at the same time, songs that I could sing effortlessly. And by 'effortlessly,' I mean emotionally, not technically. There's a difference between singing a song on key, and singing a song that makes a person instantly feel something." "I had the chance to see some bigger productions and the art of putting on a show," David says of those high-profile tours. "I learned how songs are so much bigger live and I had that in the back of mind while making this record. When people hear these songs, they'll anticipate how grand they're going to sound onstage." This is proved with the album opener "Grandpa's Farm," a sultry honky-tonk shuffle that is equal parts Little Feat and the Rolling Stones. Ironically, the record's first song could end up being David's concert closer. "That'll be a song that you wouldn't want to follow with another," he declares. "With 'Grandpa's Farm,' we'd leave as big as an exclamation point as we can." The same can be said for The Sound of a Million Dreams as a whole. It's a definitive statement that David Nail has arrived and is committed to releasing his brand of mature country musicsongs that are built around personal stories, transcendent vocals and a sense of class. "That will always be the basis of what I do on a record and what I try to do live. If you're looking to get rowdy and hear a lot of screaming and hollering, you'll be disappointed," he says with a laugh. "This record yields a different kind of enjoyment. And there are all kinds of songs. It really does epitomize the sound of a million dreams." And for fans of sophisticated country music, it's a million dreams come true.